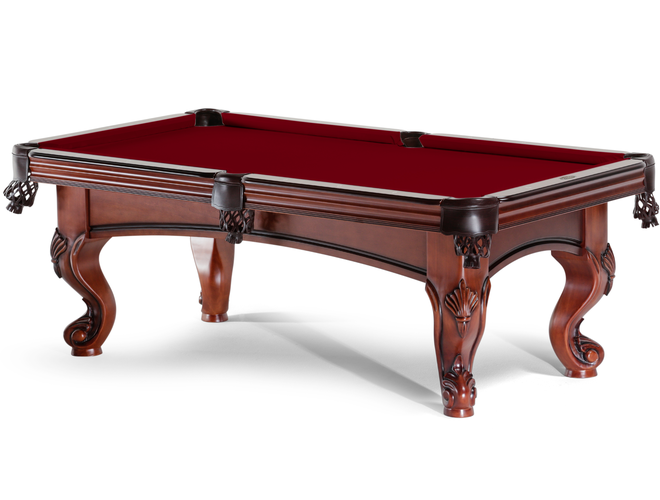 The Spencer Marston Savona is one of our most distinctive and elegantly styled pool tables. With its ornately carved ram’s head legs and hand-rubbed Satin Pecan finish, the Savona combines classic yet dramatic styling and 100% hardwood construction to offer you a lifetime of exceptional beauty and performance. 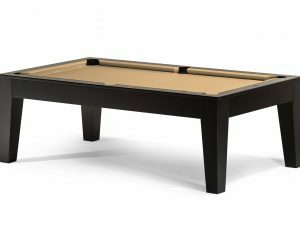 Add a custom premium teflon cloth to make this impeccable table the highlight of any room.